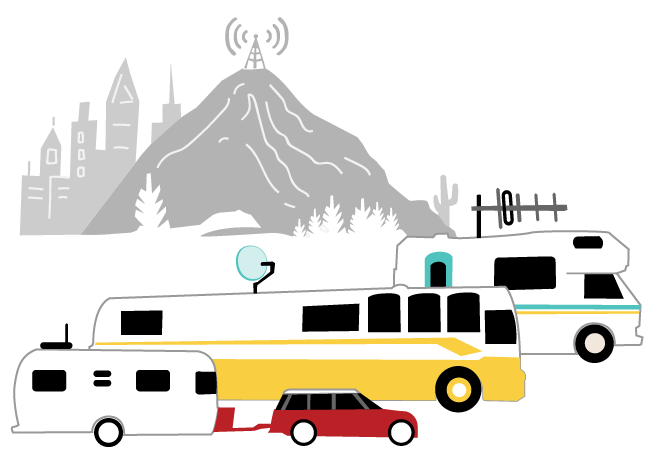 Our goal is to provide a central resource center about mobile internet options for US based travelers - RVers, boaters, truckers and nomads of all sorts. We are not sponsored by any manufacturer, vendor or service. We do not display 3rd Party ads. We are not resellers of any plans, equipment or products. By receiving most our funding from our premium memberships, we can remain focused on creating quality indepth educational content. This website is our repository of knowledge on this niche topic and news stories analyzed just for travelers. We've been building this since 2013, and there's a lot of content (currently over 1000 unique pages!). In our Gear Center we track products specific to mobile internet and overview the options on our radar. We try to get hands on time with a representative sampling, and share our more in-depth reviews & tutorials with our members. 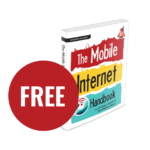 Our Guides are in-depth and written to teach you about the various topics that play a role in a mobile internet setup. They're updated constantly as technology shifts. Our members also have access to our Classroom, walking them through the guides. In our Video Center we bring together the video portion of our content for visual learners. Our members also can tune in a couple times a month for our interactive Q&A webinars. It takes a team to pull off what we do here - and we are honored to be joined by some truly awesome folks who we also consider friends. With the support of our membership keeping us funded, our core team is paid staff - so that we can truly make this mission a focus. 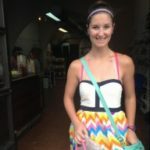 Our team is made up of fellow nomads & travelers. All of us know this topic because we depend on mobile internet ourselves. We are fully distributed, working remotely. Maybe one day we'll all meet? Cherie was pretty much born an entrepreneur and started using computers while in preschool in the mid-70s. She's been self-employed and location independent since the early 90s as a software developer, project manager, author, niche tech magazine publisher, instructor, strategy consultant and product launch specialist. Cherie strives to keep our content accessible and explainable. She keeps an eye on the industry, coordinates our team, manages the content & website and orchestrates social media. 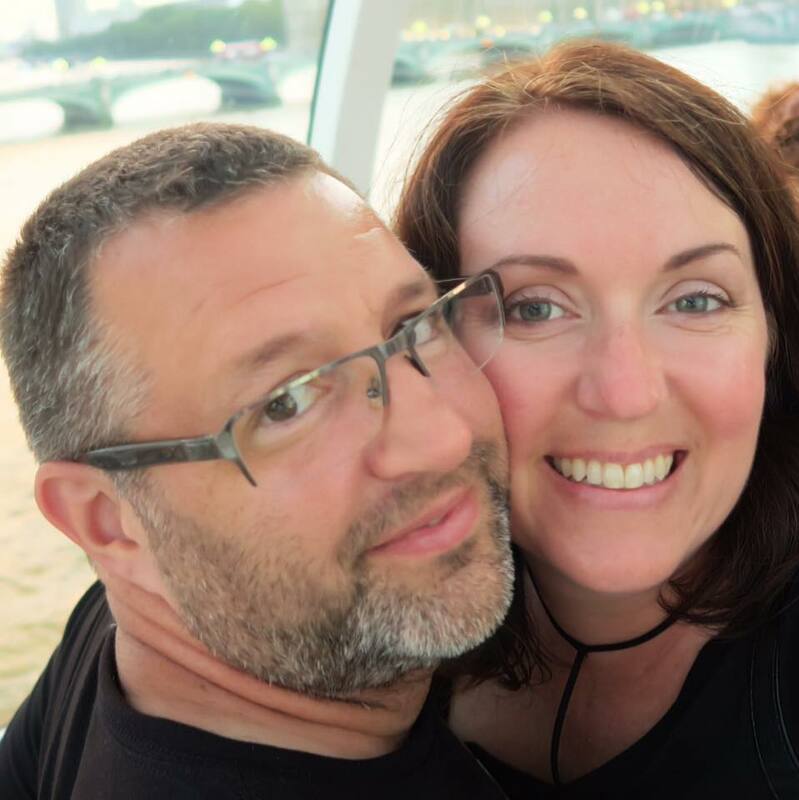 With a lifelong thirst for wanderlust, she and Chris met in 2006 and have traveled together full time in both RVs and boats since then - continuing to work remotely the entire time. You can follow their personal adventures at Technomadia.com. In a former life, Chris was the Director of Competitive Analysis (aka 'spy') for Palm & PalmSource (remember the Palm Pilot?) where it was his job to constantly stay on top of every aspect of the mobile industry and plot the future. Before that, he was the founding technical editor of boot magazine (which in now still found on newsstands as Maximum PC). In 2006, Chris gave up his downtown San Francisco apartment and hit the road full time in a tiny RV, and soon after he met and partnered with Cherie. They have been perpetual nomads ever since. Chris is our uber expert on things high tech. 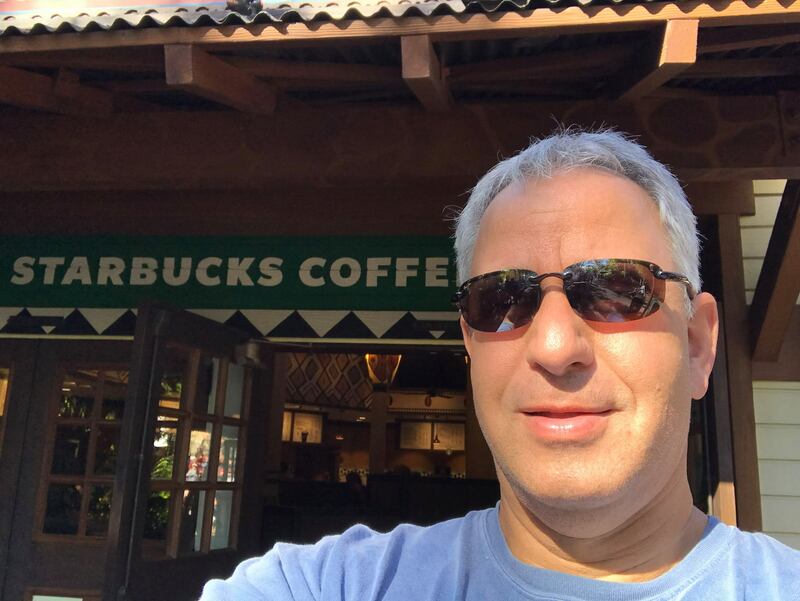 He tracks the industry, analyzes options, continues to predict the future and authors in-depth and high-geek content. 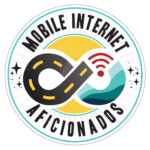 We're also honored to be instructors of the 'Staying Connected on the Road' course - part of the Escapees RV Club RVOU (RVers Online University). Lover of long distance running, balloons & candy. Full-time RVer exploring the U.S. indefinitely with her husband Jake. Our world was rocked the day Jake joined the MIA to get information to continue working remotely in his high tech career and encouraged Liz to answer our cry out for help in 2016. 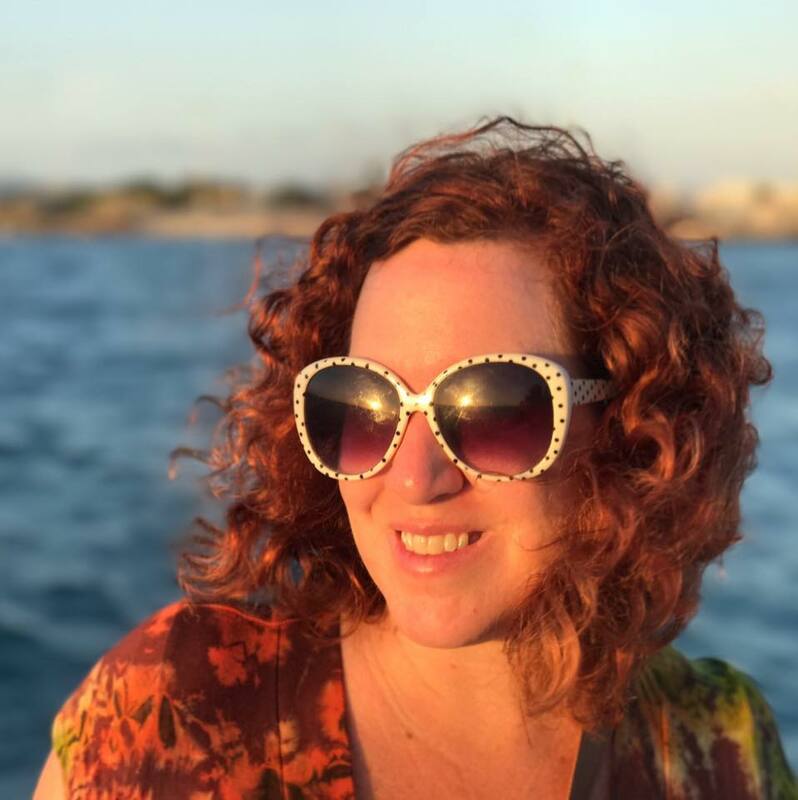 Liz doesn't have a high-tech background (which is a plus - she's helps us keep it real here) and first joined our team to moderate our Internet for RVers & Cruisers public Facebook group. Over the years, she's grown her role to be so much more - authoring articles & guides, keeping content updated, sluething out details and assisting our members. But most importantly, she keeps us all joyfully inspired with her rainbow colored personality. She's also the big rig driver & dump station specialist - and you can follow their personal adventures at lifewithdyna.com. View her & Jake's Mobile Internet Setup. An avid outdoorsman, father, explorer, veteran, super geek and gamer. Andrew and his family went full-time after too many years in the rat race. The family is now taking a break from the road but still gets out RVing for extended excursions. 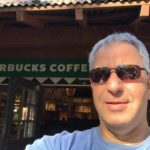 He keeps on top of breaking news stories, assists in our Internet for RVer & Cruisers public group, super sleuths geeky details, writes & expands our in-depth guides and assists with helping our members. He's dynamite at confirming details and standardizing our content. He joined our team in 2017 and introduced new wizard-like powers to the team. Follow Andy's family's adventures at thefreefive.wordpress.com. View Andy's Mobile Internet Setup. Joe Maliszewski "The Computer Guy"
A former accountant longing for something a bit geekier, Joe found his true calling as a technology software consultant, traveling over a million miles in an airplane to save the world from the woes that often accompany tech. His passion for travel started young, having started RVing at the age of 5 with his family. He is now happily (well, mostly) retired and exploring all those fly over places in a 36' motorhome. 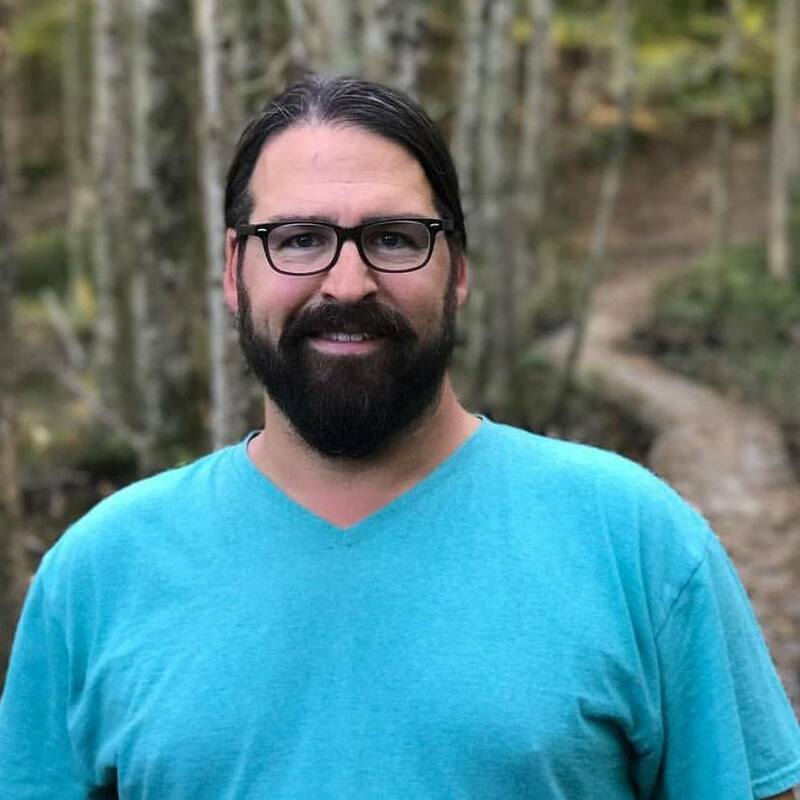 We're delighted that after years of stalking our personal travels and becoming a personal friend, Joe decided to spend a few hours a week becoming our lead field testing tech. He tests out mobile internet gear and plans, and recording real world data to share with our members in our Testing Lab. Like the design of our website? Our snazzy graphics? We're blessed to have awesome partners in helping us make our content not only accessible, but look fantastic. Nomads since 2010, we met the Upthentic Creative team on the road in 2012 - and they've been helping us keep this space updated since shortly after we launched. Dennis is our behind the scenes web master, keeping our site updated and cranking along. He also works with us to implement new features and constantly improving things around here. Jeanette is our amazing style wizard - helping us keep a consistent look and feel in our graphics, fonts, colors and presentation. From book to website to shirts. Aside from our paid staff above, it truly takes a team to do all that we do here. So that we can continue to offer a ton of free content to the public and host our free Internet for RVers & Cruisers Facebook group - we are honored to be joined by some willing volunteers to help out. Jack and his wife have been RVing since the early 2000s. He's a highly respected tech guru on RVing forums. You can follow his adventures at JackDanMayer.com. He was a supporting force to establishing the Mobile Internet Resource Center. We appreciate him continuing to be on call for our team and chiming in when he has open time. Tom and his wife Lori are full time RVers, and share their adventures at TomandLoriRVLife.com. Orignally they were MIA members, and then Tom joined our team to help out with answering questions in our public Internet for RVers and Cruisers Facebook group. Now in full retirement, he continues as a volunteer moderator. Jen and her husband Deas have been RVers for many years, traveling with their pack of pups - sharing at NealysonWheels.com. Jen helps keep an eye on our Internet for RVers and Cruisers Facebook group - which is especially helpful when our staff is busy covering a breaking news story or working on content. +-How Did the Mobile Internet Resource Center Start? The Mobile Internet Resource Center is brought to you by Two Steps Beyond LLC, the business run by Chris Dunphy & Cherie Ve Ard of Technomadia.com. Chris hit the road in 2006 and Cherie joined him soon after. 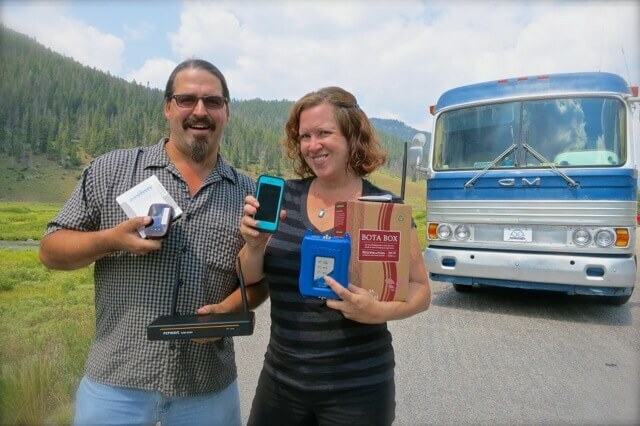 We weren't retired early or taking a gap year - we took our tech careers on the road while we embraced our wanderlust. We've primarily traveled by RV since then, mixing in other side adventures. We now split our time between RV and boat throughout the year. We both continued to work remotely as software developers, app developers, authors and strategy consultants. We are honored to have been catalysts for projects like RVillage and Xscapers (a new division if the Escapees RV Club aimed at the 'working aged' RVer) - helping shape them behind the scenes before launch. Our posts on our personal travel blog, Technomadia, about how we kept online to continue working remotely became some of our most popular. In 2013, after yet another e-mailed question about the topic - we decided on a whim to compile all of our blog posts on mobile internet into one place for easier access. 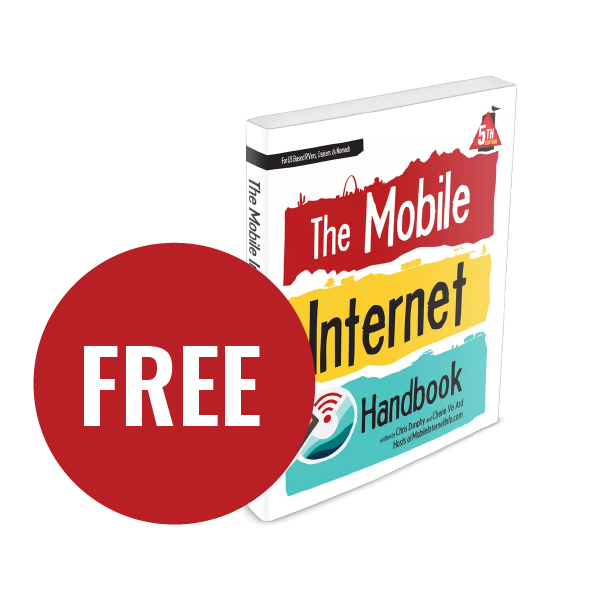 The first edition of The Mobile Internet Handbook - published in 2013. And thus the first edition of The Mobile Internet Handbook was published in under 3 weeks and we went back to our 'day jobs'. 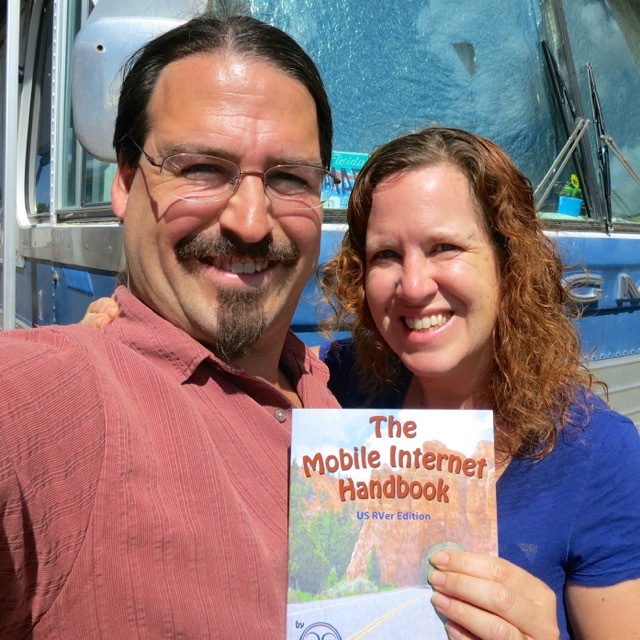 We launched the RV Mobile Internet Resource Center in 2014 after the book was a success and realized it would take a lot of attention to keep this topic updated. 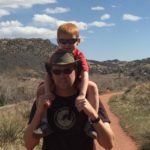 We had to make a decision between continuing to treat covering this topic as a side hobby that was taking up more and more of our time - or jump fully in by giving up our other successful pursuits to focus on this topic. A IndieGoGo funding campaign in 2014 showed us there was massive support for a member supported resource like this. Originally we focused on RV-specific solutions, but now we are now simply the Mobile Internet Resource Center for all US based nomads. We would have never imaged it possible - we get to do the things we truly love: play with technology, live mobile and help people pursue their dreams. And we're honored that we are funded by the very folks we're serving - our fellow nomadic community. And we're thrilled that we've been able to build a team of awesome folks who help us keep on top of this growing resource. +-Do you offer private advising or consulting? Since we launched this site in 2013, we have conducted over 125 private advising sessions. As much as we love getting to assist our members in this format, finding the time to continue offering them as our membership and content we provide expands became too difficult. As our primary mission is creating resources that can help the many so have discontinued private advising. We are considering some alternatives - such as a virtual study group to less structured & shorter sessions. In the meantime, if you're embarking on your research - please consider utilizing many of the resources we offer. We offer a classroom, book, videos, member forums and regular Q&A webinars. We are always delighted to assist our members in these spaces. +-Do you have an affiliate program for your membership, books or apps? We decided a while ago to not pursue offering affiliates kickbacks for our membership program - all the rage that they are. For one, we are a community funded resource center. We prefer to keep our membership fees as low as possible for all and not need to build in allowance for affiliate or marketing efforts. Our marketing plan is pretty simple - we focus on creating quality content worthy of sharing and referencing folks to. We give away a lot of free content & resources that hopefully is valuable to our nomadic communities. We strive for authentic recommendations and word of mouth referrals to our content & resources that are not incentivized by financial compensation. As we ourselves are not dependent on selling gear or plans to fund this site, we don't want our content/membership to be marketed in this way either. Share it because you WANT to, not because you NEED to. We do try to take notice however based on where folks say their referrals are from and acknowledge that as best we can. As far as our book and apps, they're offered on Amazon, iBooks and the app stores. You're of course welcome to use your affiliate links when sharing about them. +-Are you hiring? How can I join your team? When we have a particular role to fill, we tend to first look from within our premium membership to hire from. We feel those who are called to join & support this site have the best understanding of our content and mission. However, we are always on the look out for contributors to the resource center who can help fill in areas we don't have fully covered yet. 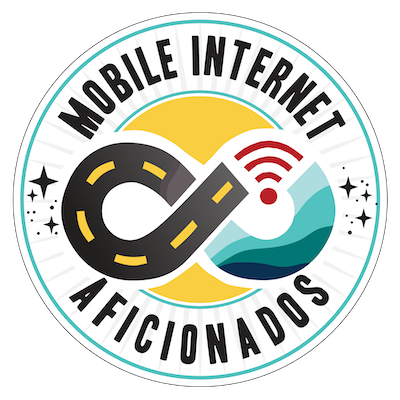 If you have a particular experience that you'd like to contribute - be in touch at info@mobileinternetinfo.com.